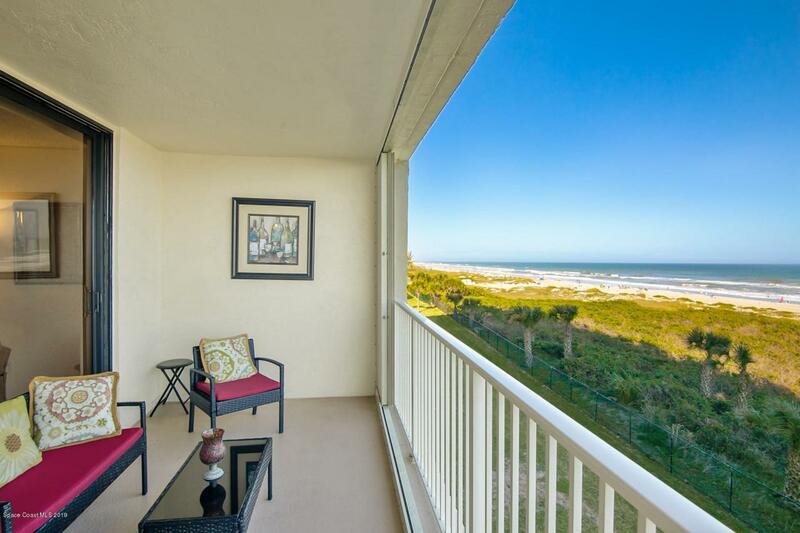 Watch sea gulls soar, sunrises & changing tides at this DIRECT ocean 2 bedroom, 2 bath at desirable Stonewood condominium! This turn key 4th floor condo is fully furnished, super clean & well maintained. Endless, tranquil water views from the living area, master bedroom & kitchen! 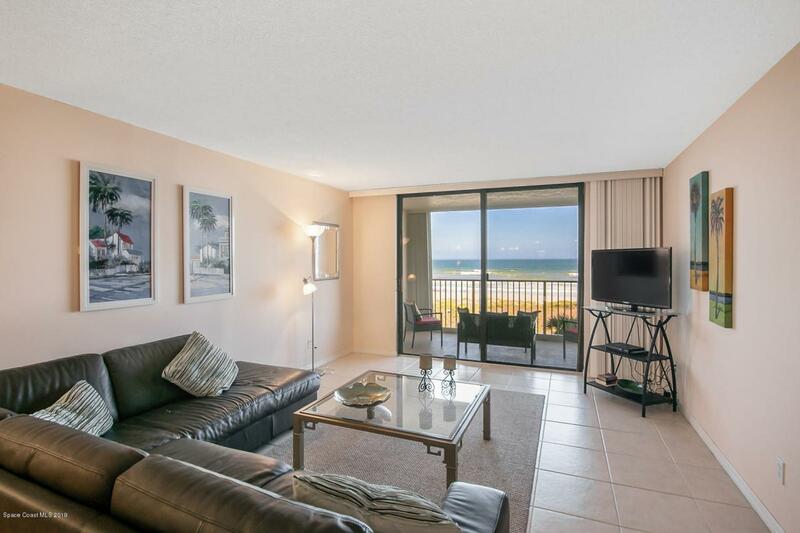 Many say a 4th floor oceanfront condo is the ideal height for viewing beach activity along the coast with good depth perception yet still enjoying expansive views & privacy. Stonewood is known for strong financials, excellent maintenance & tons of amenities including exercise room, clubhouse, heated pool, oversize outdoor hot tub, tennis courts, etc. 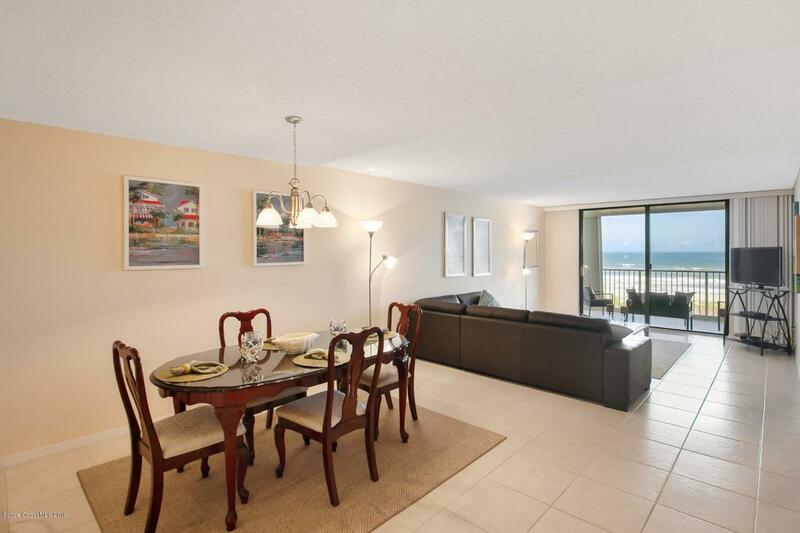 It is also one of the few 24 hour guard gated oceanfront complexes in the area. Covered garage space #27 deeded to property. 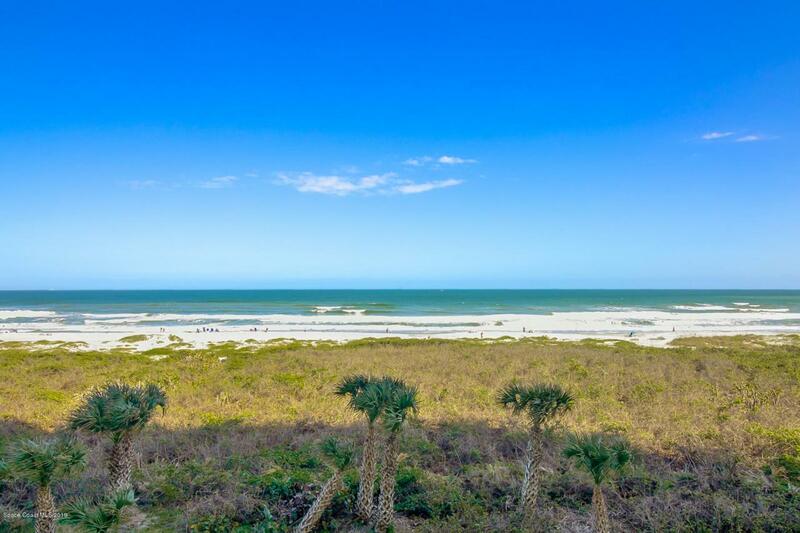 Complex is ideally located in central...Cocoa Beach ~ private & quiet yet within walking & biking distance to the budding downtown Cocoa Beach restaurant & nightlife scene! Orlando International Airport is less than 1 hour away. Listing provided courtesy of Century 21 Ocean.